8-5, Stayin’ alive/We’re going streaking!! I’m a superstitious guy. You may already know that, after I wrote about my first NFL experience, and how I felt my presence at the stadium was simply enough to sway the tide. On game day, I will don my jersey (#88 Jimmy Graham) and ‘Hawks hat right as the teams are taking the field. I typically will drink only one kind of beer (Hilliards 12th Can), and eat only one kind of pizza (DiGiorno’s stuffed crust Buffalo Chicken) while watching games at home. I don’t even pop the top of my first beer until the opening kick leaves the ground. Like I said, I’m superstitious. I was back at Century Link Field for their comeback victory over the Pittsburgh Steelers, 39-30 (Physically being there for a win had to have lifted whatever first time fan curse I brought upon the team). They won the next two in relative style (San Francisco did attempt to make the game interesting, and Minnesota, even though shutdown, was playing very well before the ‘Hawks came to town). The run blocking game is strong now (Hey, better late than never). Tyler Lockett, Doug Baldwin, and Thomas Rawls might be the three Wisemen of December, bearing bountiful gifts (Not just for the ‘Hawks, but my fantasy teams as well!). The numbers didn’t lie- Wilson WAS throwing more in the first five games of this season than he did last season. You could argue strength of schedule being the deciding factor about maybe WHY Wilson is throwing more, but the evidence appears rock solid. What’s even better it appears that the more Wilson puts it down field, the better his duo of receivers still are. Volume, in that case, translated into more yards, more points, and more proficient receivers. Kearse is only ‘saw’ four more looks than last year, but made just as large of a leap, as those translated into an extra four receptions. He translated those into an additional 106 yds. and a score. His completion rate (Like Baldwin’s) was almost a quarter more than that of his totals this time last year. Son of a gun. Even while seeing 19 LESS looks, Graham still managed to be MORE consistent in Seattle’s run first offense. Sure, Drew Brees had Graham as his A1 target then, so it factored that he would achieve bigger numbers in a pass heavy offense than a run heavy offense. If we flash forward to the last five games we’ve seen (@ Baltimore, @Minnesota, vs. Pittsburgh, vs. San Francisco, vs. Arizona) in 2015, the ‘Hawks have gone 4-1. Over the span of those games, the ‘Hawks gave up 95 points to their opponents, but scored 173. Over a similar stretch of five games in 2014, the ‘Hawks gave up 61 points, while scoring 120. The ‘Hawks have allowed opponents to score 34 more points on them this season, but have put up 53 more points on their opponents. There’s a differential of 19 points, in favor of Seattle this time around. If you break that out over a five game stretch, that 3.8 points per game. A key metric, that makes Field Goals even more crucial in close games. *Note- I chose to include the home loss versus the Arizona Cardinals in Week 10 in my calculations, which is why my numbers will likely differ from what you may read in the media. It’s important to note that in that game alone, Wilson had his worst career passing day, completing 43% of his passes. Also, I use passing completions and attempts ONLY when calculating the completion rate, I do not use the passer rating system. **These passing numbers are an addition to the fact that Jimmy Graham went to the IR with a season ending Patella Tendon Injury versus the Pittsburgh Steelers in Week 12, and that Thomas Rawls sustained a broken ankle versus the Baltimore Ravens in Week 14. Wow. Those numbers don’t lie when you look at them. Wilson has chucked it 20 more times in the last five games this year (when compared to last season), and completed 19 of them. He’s cranked out an extra 351 passing yards, and a mind blowing 11 TDs, with 1 less INT, off of a mere +4% increase in passing completion rate in that same time span. There isn’t a QB in the league over three of those five weeks that matches up with Wilson’s completions, TDs, or passer rating. Again, if you take out the Week 10 loss to Arizona, Wilson would be -2 INT among that span. What’s changed in the Emerald City, you ask? Well, for one, whatever demons the team needed to exercise seem to have been banished. Tom Cable’s system of changing just about any Defensive player into a stud Offensive lineman appears to be rock solid. Sure, Wilson has been sacked eight times in the last five games, but it’s a far cry from the league leading crusade for sacks that the ‘Hawks appeared to be en route to over the first part of the season. The sacks seemed to have had an inverse effect on Wilson. No matter the pressure, Russell Wilson from the pocket has been Dynamite. He’s doing exponentially better over a five game stretch this year than at this time last year, and if you compared those stats to the first five games, I’m sure they’d be even more telling. There likely isn’t a better way to describe his passing performance (than dynamite), and that’s got to be attributed to the O-Line of the ‘Hawks. But there are more people who benefited from this scheme than just Russell Wilson. Marshawn Lynch, even battling injuries, was able to produce against opponents. Thomas Rawls had a string of 100+ yard rushing games, including a 209 yarder (Franchise record for a rookie) against San Francisco, and a 169-yard outing versus the Cincinnati Bengals. In games versus the Minnesota Vikings and the Baltimore Ravens, Seattle’s O-Line lead their opponent’s D-Lines like they were Cha-Cha partners at a dancehall. After Rawls left the game versus the Ravens with the ankle injury, backup RBs Fred Jackson and DuJuan Harris stepped in and were able to still able to produce. All of those jokes about the Dallas Cowboy’s O-Line making any RB a superstar (Hello? Darren McFadden? WHAT?! ), seems like there may be a line of jokes being tilted towards Seattle. Tom Cable, no one understands why your process of converting a player to an O-Lineman is so stressful the first part of the season, and so spectacular the second part. It’s working, so please, please, PLEASE just keep it going (and offer Patrick Lewis just about anything he’d like, because he’s executing brilliantly). Especially if Rawls and Lynch’s absence means that Seattle’s backfield is in a shuffle, the O-Line will allow even the newest of runners the volume of chance to make something out of nothing. Next man up, indeed. If Doug Baldwin really is angry all of the time, he’s certainly playing like the exact opposite. Crackin’ a smile or two, the WR1 of the ‘Hawks is well within distance of being Seattle’s first 1,000 yard receiver since 2007. 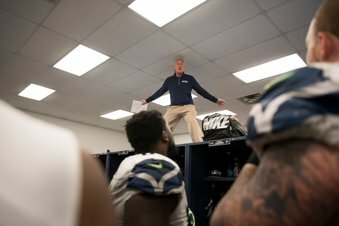 Baldwin defers all of the praise to Wilson, saying he’s playing ‘out of his mind’, and you’d be hard pressed to say anything bad about this guy’s performance. With Jimmy Graham going down, Baldwin has easily ramped up his usual set of fleety foot skills to run near perfect routes and keep defensive backs wary. His scoring opportunities have not always come from within the red zone, yet another feather in Baldwin’s cap. Eight TD’s in the last three games alone. Show me another Wide Receiver in the NFL who’s put up similar numbers. Rather quizzically, it seems that in the majority of games where Doug Baldwin goes off, Kearse does not. Outside of his 4/5/72/2 line against Pittsburgh, he’s been rather quiet. The numbers here show that on LESS targets, Kearse scores more TDs and is completing more passes. That two TD game came against the Pittsburgh Steelers, who have not been a slouch of a defense, nor a giving one. This Seattle Times article about Kearse’s drops drew a bit of ire from me, but as Kearse tells it, he’s focused more and more trying to enjoy the game, than pay attention to the internet warriors who complain about his drops. Kearse is a great wide receiver, and it’s foolish to think that he won’t benefit from added looks down the stretch, especially as teams will scramble to cover Doug Baldwin, and Tyler Lockett. His completion rating over the last five games (in reverse order) are 87%, 0%, 80%, 60%, and 50%. With the exception of the long target (and no reception) game, that’s a great upward trend. Keep it up, Chop Chop. While you’re reading this, take a moment to visit his 15-1 foundation’s website. 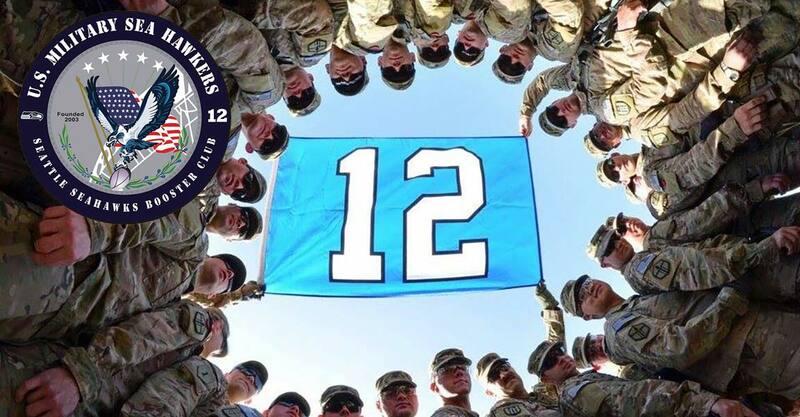 This guy is an incredible product, a beacon for most military members to be a fan of, in ADDITION to football fans. Originally drafted to fill a team need at punt and kick returns, the rookie flashed early on in the season, and teams took note. Whereas opposing special teams outfits felt confident they wouldn’t need to alter their game plans, it is clear after St. Louis and Chicago gave up return scores, that there was substantial tape on the young receiver to scare most kicking units. A glance at his first five games of the season shows modest, and immediate usage in the passing game. Over these last five weeks though, it’s undeniable to acknowledge the impact the young receiver has had. He’s a young player with the prowess of a deep threat veteran. Teams are getting beat on the touch and go routes he’s blazing down. You could throw up the point that his multi TD games came against sub par defenses, but you’d be missing the point: Seattle uses him effectively as a mid field receiver as well as a deep threat. Lockett has racked up plenty of first downs as that mid field receiver. He’s warranted at least single man coverage in passing down situations, and in some of those situations, he makes the opposing team pay. Twice in the last two weeks Lockett has found himself sandwiched in between opposite tacklers at nearly full speed, but has remained injury free. He averaged 87 Yds. /game in the return department over the first five games of 2015, and over the last five games, has averaged 63 Yds. /game. While that may seem like a big drop-off, teams are kicking away from him more and more, which makes his 104 return yard outing against the Cardinals in Week 10, and 148 return yard outing against the Steelers in Week 12 that much more impressive. In both of those games, Wilson needed those field positions to set up successful drives. Give Lockett credit- when you are running up and down the field that many times to return kicks, lining up for as many snaps as he has is a testament to his talent, conditioning, and mental toughness. Lockett’s ability to even push on after the big hits nullifies any possible argument you could have about his tenacity. His eruption as of the last few weeks isn’t just timely, it’s a godsend. There’s three more games to be played in the 2015 regular season: a pair of home contest versus losing teams in the Cleveland Browns and St. Louis Rams, and a week 17 road contest in Arizona that will be telling of just how improved the Seattle offense is. If the season ended today, the ‘Hawks would go on to face the winner of the NFC East, either the Washington Redskins or the Philadelphia Eagles (early guesses, as the Dallas Cowboys are imploding). Just as with the team’s current “Championship Mentality” on a week to week basis, every game is a crucial, must win if the ‘Hawks are to enjoy a favorable stint in the post season. The road to SB 50 is a few exits down on the highway, and there is plenty of reason to be optimistic about the team’s performance. The car’s heated up and running smoothly, even with some ailments.